Police officers in the United States might look very different from those in any given Aggie's home country. 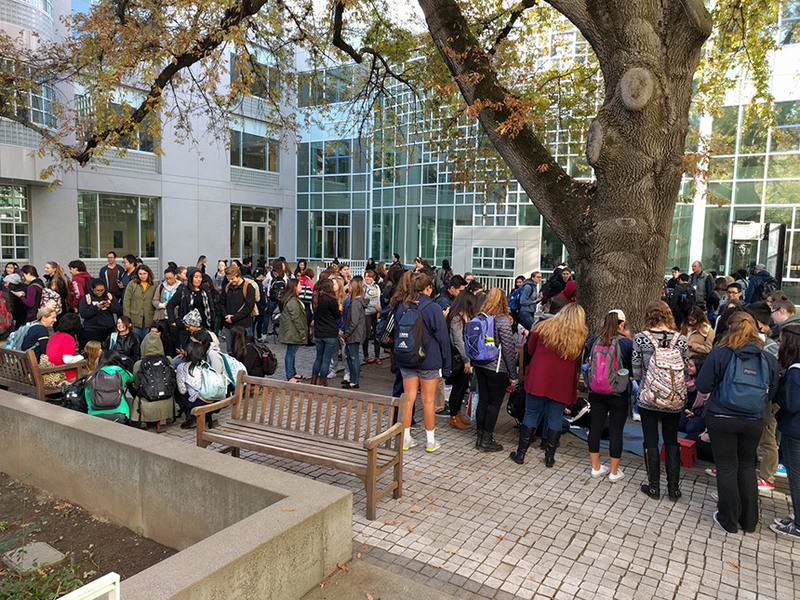 UC Davis police sought to answer any questions international students had during International Education Week earlier this month, serving pizza and playing table tennis with visiting students, while also answering questions about bicycling regulations and how to file a report. A professor stopped by with a class of Japanese students, and officers got a visit from a visiting scholar with some law enforcement experience of her own. Songli Wang, a professor and police officer in China's Anhui Province, is studying criminal law for a year at the School of Law. She's also used her time here to ride along with UC Davis police; she said she has noticed many differences in the duties of U.S. and Chinese police, and wants to keep exploring. "Every day I have class I want to learn more," Wang said. "I love Davis very much." UC Davis Global Affairs: Come check out the International Student Fair at the #UCDavis Int'l Center! We're open until 7pm! Only a few more events left for #IEW2016! If you thought the library gets crowded in the days leading up to finals, you should see it when the therapy fluffies visit. The ever-popular de-stressing dogs visited Shields Library Nov. 18, and a short slideshow is available here. Coach Jim Sochor's legacy is more than a win-loss record: It's one of trust, unity and togetherness. Those words are inscribed on the bronze statue honoring him at Aggie Stadium (where the field is also named in his honor). Watch this video for a taste of the ceremony where the statue was unveiled (Nov. 19, before the Causeway Classic).